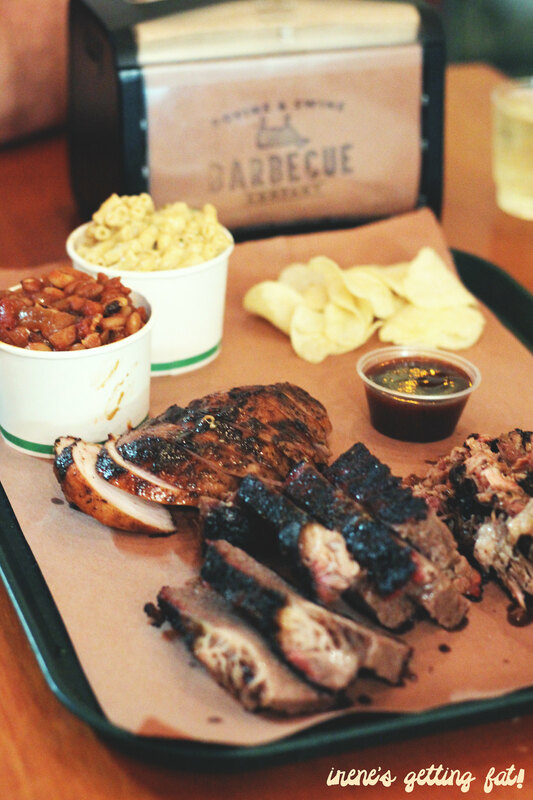 A bit of mac & cheese, but more meat please. 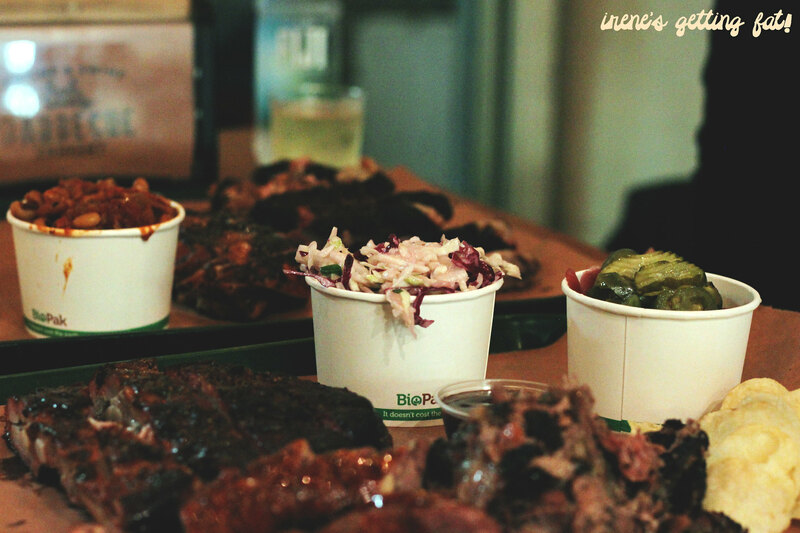 Bovine and Swine BBQ Co. joins the bustling Enmore Rd lines of restaurants, and they sure have their own loyal fans, judging from the crowded queue, especially on weekends. The four of us went on a Wednesday night, and although it was not as busy, there were always customers coming in constantly. 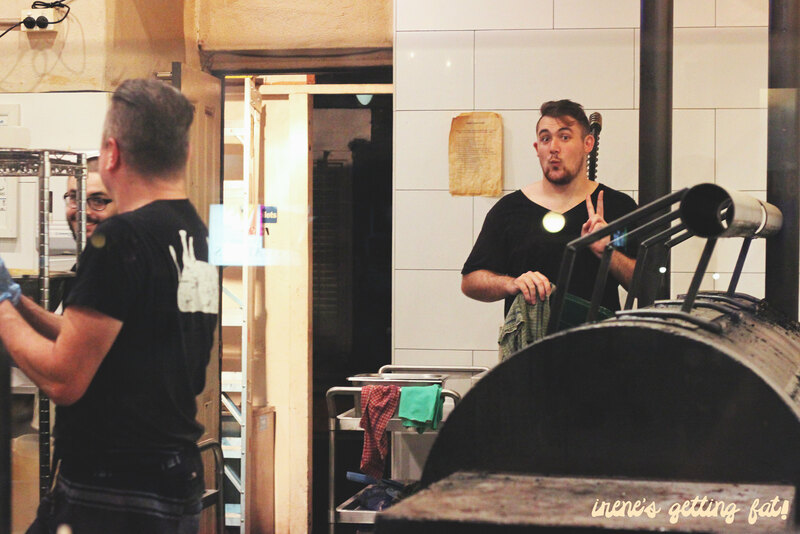 There are not that many seats, the room's mostly occupied by the kitchen area, where owners Anton Hughes and Wes Griffiths play with their slow burner. 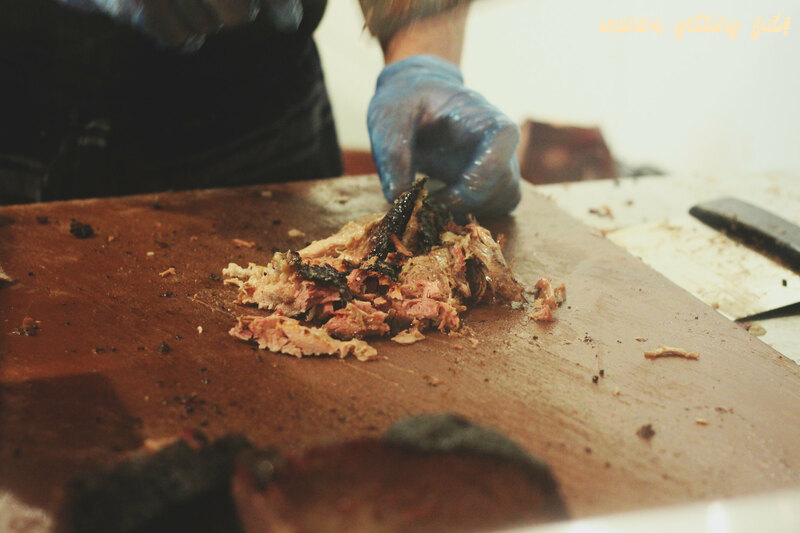 The meat here is barbecued using ironbark, native Australian hardwood. The counter is not only for ordering, but also to watch Anton cut and weigh the meat. My eyes were filled with lust for the meat, especially after he kindly cut little burnt ends from the brisket and gave it to us. Bless. Four people meant that we could try everything on the menu. The meat plates are definitely recommended for big eaters or group; 'for one' gives you 2x200g meat and 1 side, while 'for two' puts 3x200g meat and 2 sides on the plate. So we did try almost everything. The first meat plate for two had chicken, brisket, and chopped pork, surrounded by mac n cheese, bacon beans, a handful of potato chips, and a little bowl of Carolina sauce (homemade BBQ sauce) which was the bomb. 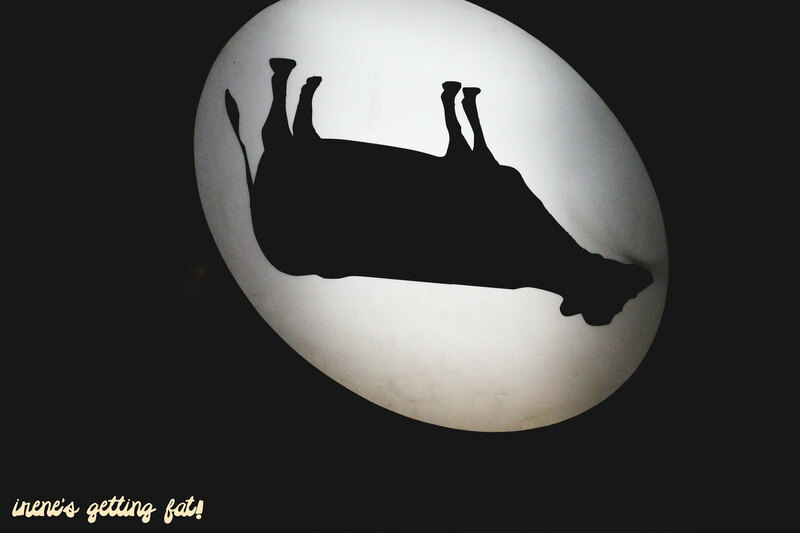 It just worked extremely perfect for every kind of meat that we tried. It was spicy, sour, and sweet. The brisket was definitely a favourite. 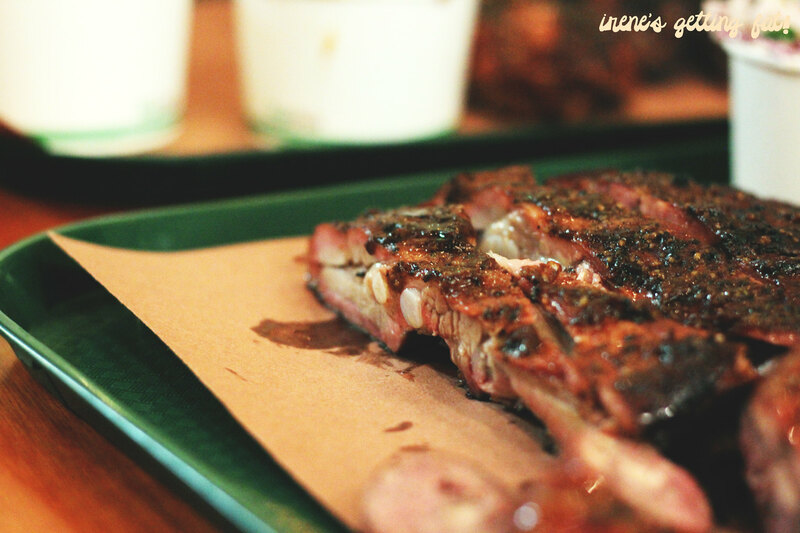 Tender and juicy, smoky meat with ribbons of fat inside that just melted in your mouth. Winner. The chicken was slightly dry to our liking, but it still has this crazy, tantalizing smoky aroma. And a dip in that sauce made everything taste better too. A generous pile of the chopped pork was satisfying, with bits of fat here and there. 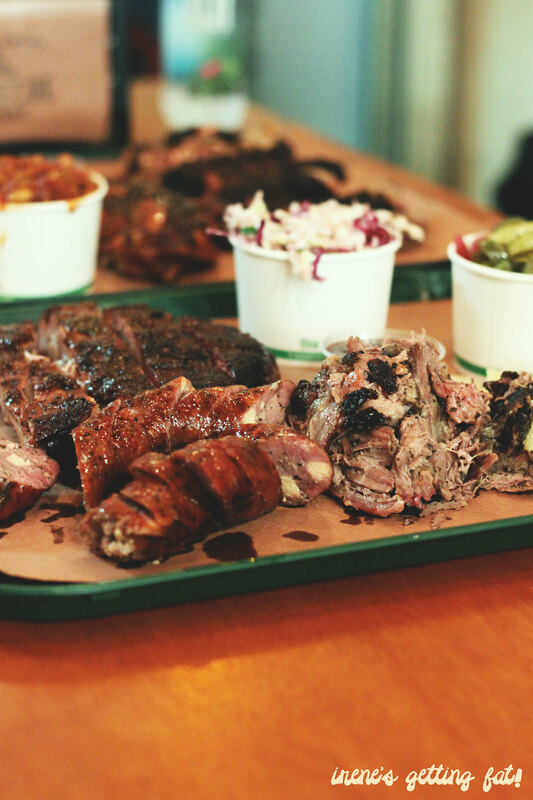 The second one had pulled lamb, hot links, and pork ribs - pickles and slaw on the side. While I can't really say anything about the pulled lamb as I am one to avoid lamb wherever I go, others seem to devour it quickly. The hot link ticked all the right boxes for me - juicy, spicy, with adequate amount of fat and seasoning throughout. The ribs were fought over for - fingers of tender, smoky pork with burnt and caramelized ends. So good. 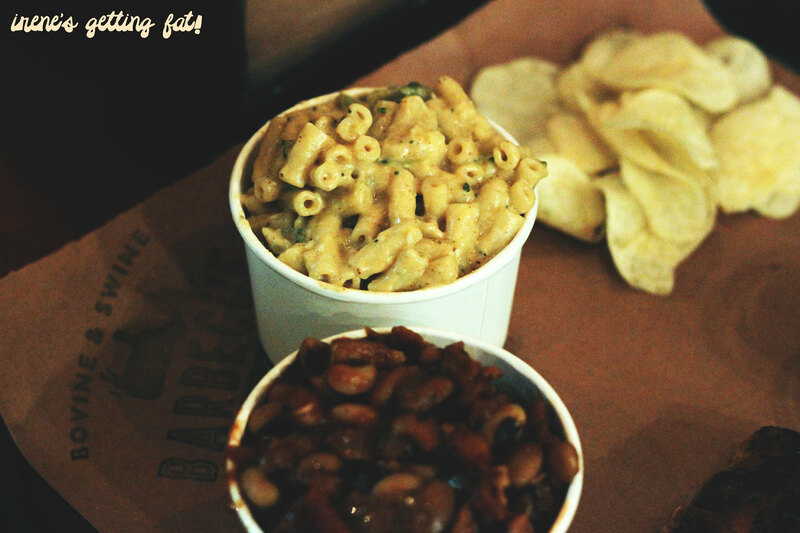 All the sides were welcomed accessories for the meal - sour pickles, creamy slaw, rich mac n cheese, and spiced bacon beans. Bring on the meat sweat, I say. Best brisket in Sydney hands down! The meat sweat game is real! 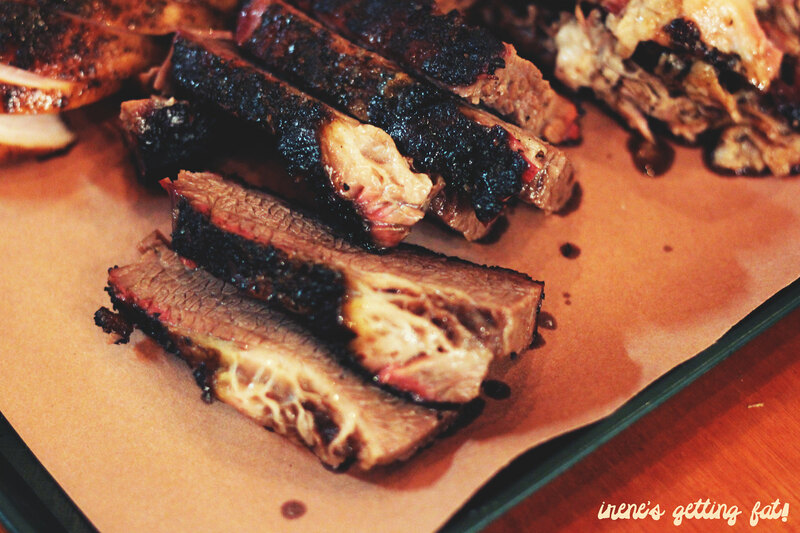 How good is the brisket here?! The beef short ribs are phenomenal too.